Wowzaaa‼️😲 sparkling blue eyes and a smile, what more can you ask for?? As you lose yourself in this handsome fellas mesmerizing eyes, let me tell you a little about him. This is Cyrus #A1585490, a neutered male tricolor American Bulldog, approximately 4 years old and weighs 80 pounds. He loves playing, and is extremely sweet. 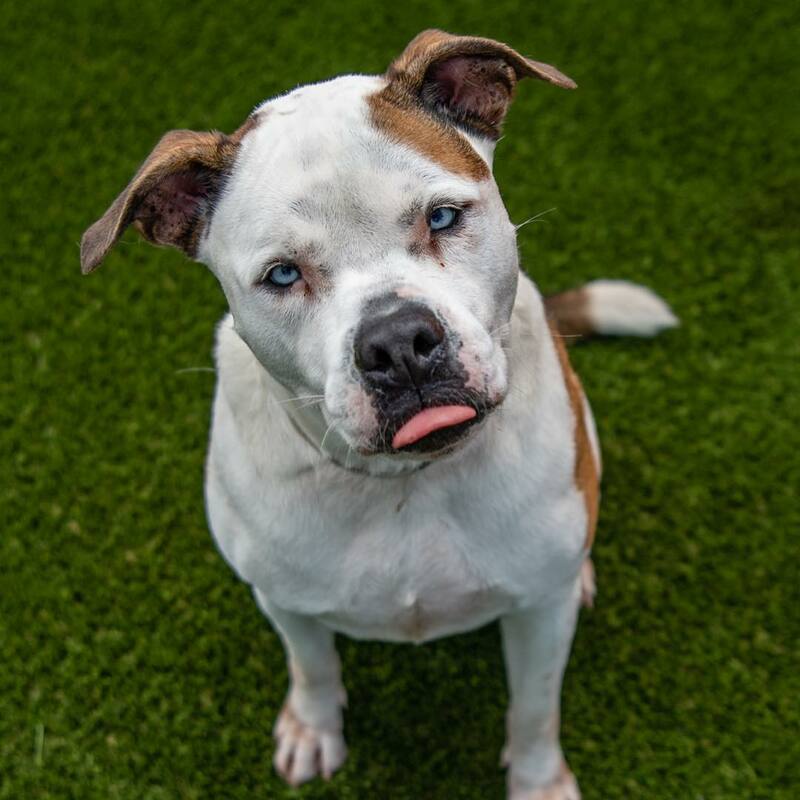 Cyrus was adopted from this same shelter a few years back, and now he’s back as an owner surrender, in a shelter that keeps filling up by the day, because of irresponsible and greedy humans. Cyrus has been here since December and is praying for a miracle. Let’s help him and his sparkling assets find him a home. @sit.snap.save . ⚠️BEWARE⚠️BAD RESCUE WARNING about Urgent Dogs of LA ⚡️ SHARINGMODE ⚡️RESCUE_MODE ⚡️RESCUESNEEDYOU⚡️JONNY PRESTON please check @urgentfraudsofla .